This is a class that has two parts to it. The first is acting class with Artistic Director Debbie Devine. Drama III is designed to help students think creatively and learn to express. This class occurs every Wednesday, 3:30 – 5 PM. The second half is Leadership Academy ­­where students can put to work their leadership skills by assisting Teaching Artists in After ‘Cool class on a weekly basis as mentors. Mentors will participate in After ‘Cool performances, help guide the students and lead warm ups and exercises. After each class Mentors will meet and use their observation skills to pick an artist of the day, and provide constructive feedback on the growth of students. After the class Mentors are expected to help maintain the theatre and prepare it for Enter Stage Right for the next morning. The Academy students will also go on several Field Trips throughout the year. The field trips are Arts and Community based to help involve students from The Academy with other forms of art and performances as well as better connect to their community. In the past years trips have included The Pasadena Playhouse, The Wallis Annenberg Center for Performing Arts, USC, LACMA, Mercado la Paloma, Moving Arts Theatre and Mack Sennett Studios. Students with consistent attendance in class will be given priority to the field trip. Interest in developing core leadership and skills. Ability to take initiative and responsibility. Demonstrates ability to successfully balance work, school and extracurricular commitments. Meet and collaborate with some of the world’s best artists, cultural workers, teachers and professionals. Program complements academic performance and challenges students to step up to higher level of achievement. Consistent attendance to Drama III Master Class. Consistent attendance to mentor After 'Cool students. Attendance to all 24th STreet Theatre programming and productions. 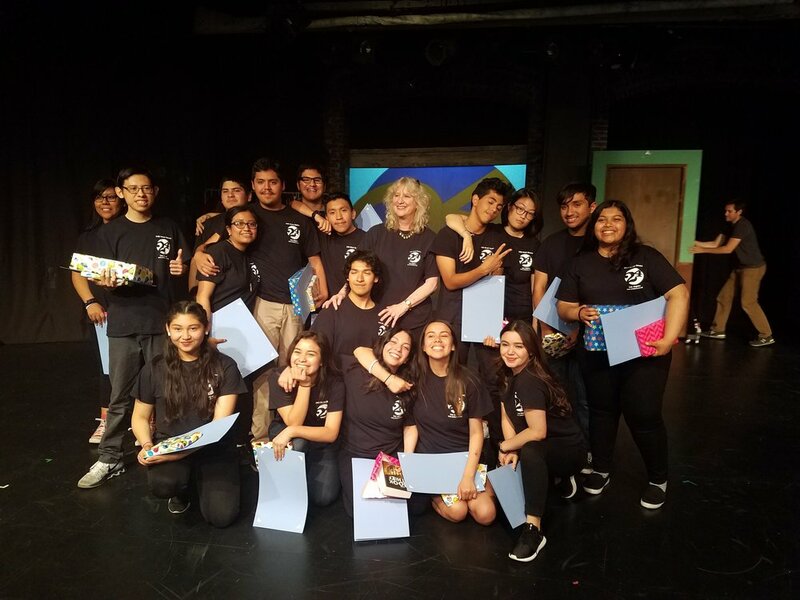 Call 213-745-6516 or email theatre@24thstreet.org to inquire about the 2018-19 school year. After 1st year, students can apply for ten highly coveted paying jobs at 24th STreet. Monthly arts field trips, including off site trips and immersive, in-depth looks at 24th STreet programming.